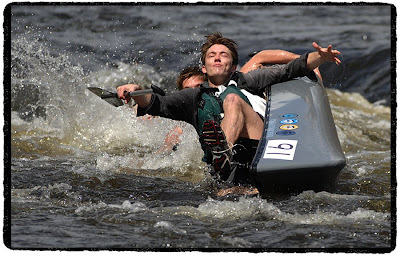 The 2009 Kenduskeag Stream Canoe Race results are out! Bangor Parks and Recreation released the final results earlier today. You can view them here (PDF file). I'll have the results archived on my Kenduskeag website in the next few days. More boats, more paddlers and more photos this year! Prints & digital downloads can be purchased on the print page. Register For The 2009 Race Online! The Bangor Dept. 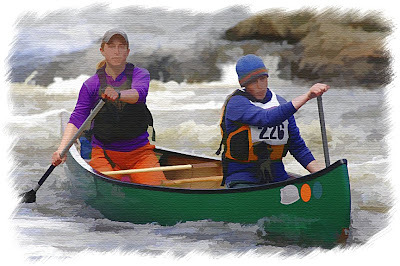 of Parks & Recreation released the latest preregistration form for the 2009 Kenduskeag Stream Canoe Race. Wouldn't it be cool if you could register for the race online? Well, now you can! Check it out here. Recreation program director Tim Baude mentioned that the traditional preregistration (ie., walking into the Parks & Rec office with your form and your check) is still an option, but many might prefer the convenience of registering directly online. Whether you register online or in person, remember that registering early saves you time & money. ($18 per paddler for preregistration; $35 per paddler if you wait until race day).